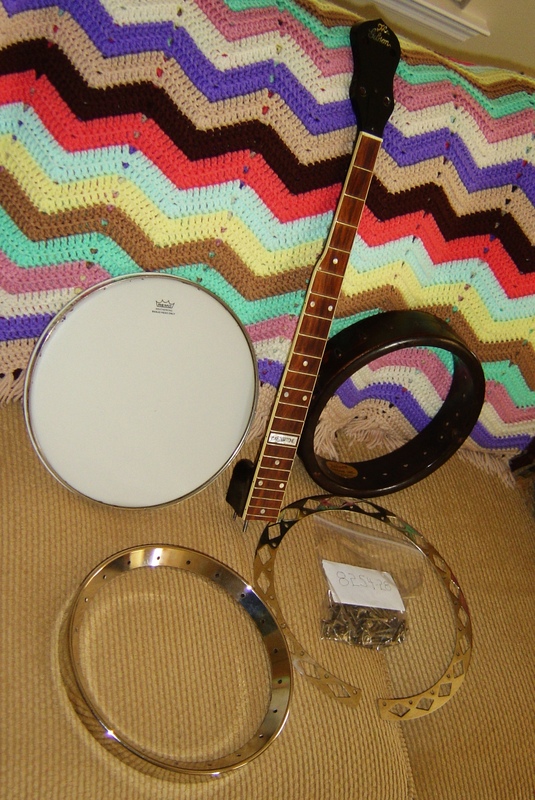 “I bought the rim for this banjo as part of a complete open back pot on ebay in 2009. It was in pretty rough shape so I took it apart and set aside components that I thought I might be able to use such as the metal parts and the old Remo Weather King head. About this same time, good friend and banjoist, Ed Stacy told me of a neck and hardware he had for sale from a TB-1 conversion parts banjo that had been taken apart for the rim and resonator. 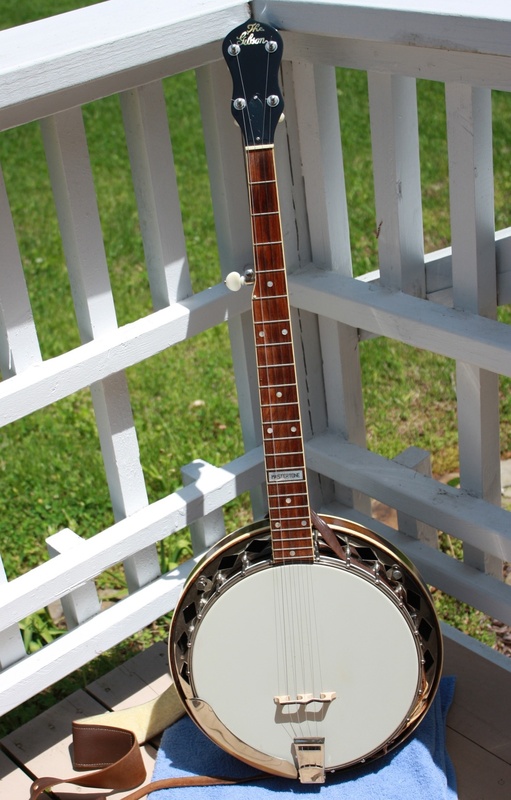 I bought the neck and hardware – including a diamond flange - for the bracket shoe construction pot and combined with a refinished double bound Kalamazoo resonator and an early Kulesh 20 hole flat head tone ring from a Gibson banjo and carried to Arthur Hatfield near Glasgow, KY for him to produce the conversion parts banjo. 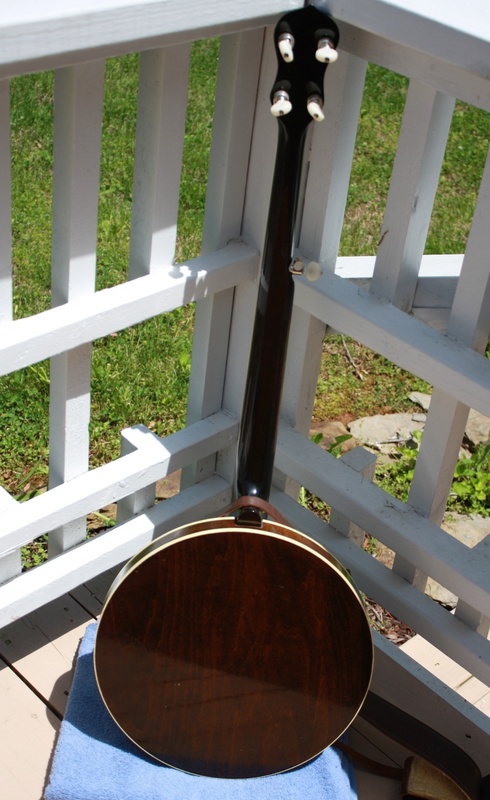 As it turned out, the neck was one that both Arthur and another good banjoist friend Jeff Crews were familiar with due to the two of them having been involved in its production.